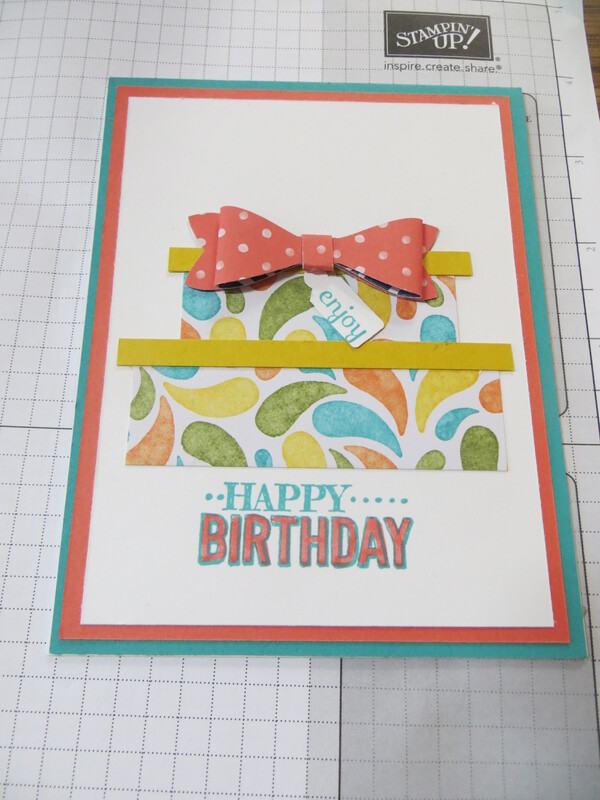 Today’s card is one that I made to showcase the Stampin Up Bow Builder punch #137414 that is adorned on top of a stack of birthday presents! I added the birthday sentiment from the Stampin Up Big Day (now retired stamp set). The great thing about this card is that it can be used for any occasion just by swapping out the DSP. Today’s layout is perfect for showcasing all the pretty and different papers available in the Stampin Up DSP collections. I am showcasing the Birthday Bash DSP. I cut various widths of DSP and notched the ends to make banners. This layout would be perfect to use the all new Banner Triple Punch to perfectly cut banners in 1″, 1.5″ and 2″ widths. 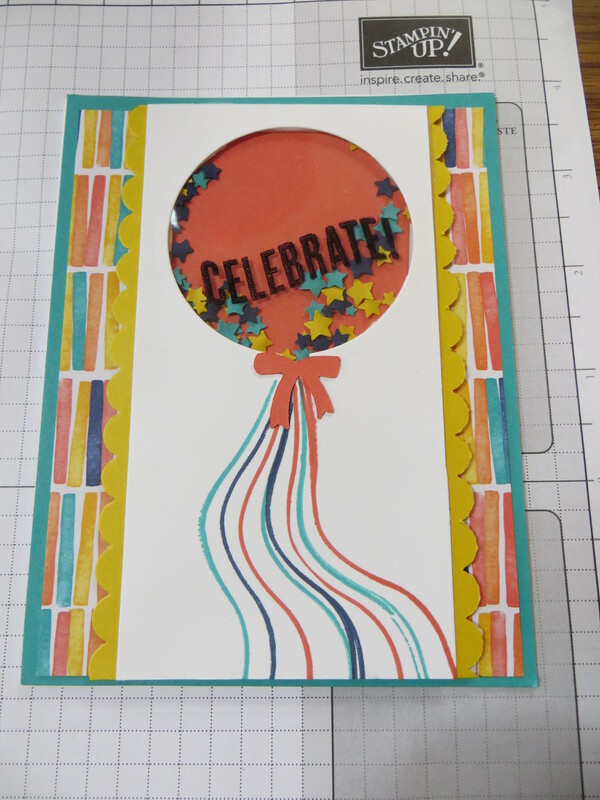 For my recent birthday bash workshop, I featured cards using the Stampin Up Birthday Bash (now retired) DSP. For today’s card, I paired the Birthday Bash DSP with the Balloon Framelits #137362 and the coordinating Celebrate Today photopolymer #137138. To create the shaker I used the balloon die to cut a window in the white panel. I then put a transparent Window Sheet #114323 on the back side.and then stamped the sentiment from the Celebrate Today set using Stazon Ink #101406 and the multi colored strings. Turned over the panel and put Stampin Dimensionals all around the back side leaving absolutely no gaps. I added a bunch of stars punched using the Confetti Stars Border #135861. Once enough mulit colored stars were added I covered the back with a piece of calypso coral cardstock to seal the window. I added 2 scalloped edges and secured the Birthday Bash DSP. 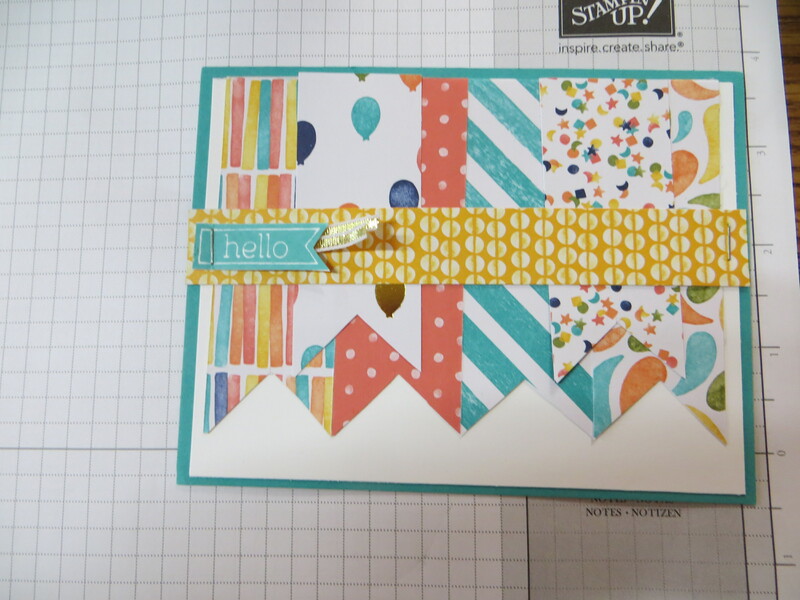 To finish the fun card I turned it over and made sure it shakes and then added the cute mini bow cut from the Balloon Framelits. The Celebrate Today and the Balloon Framelits are part of the Bundle and Save 15% when the 2 items are purchased together using #138869. Today’s post is a super sweet one. I started with a Calypso Coral card base and then added a coordinating strip of Birthday Bash DSP and added a Night of Navy scalloped border punched using the scalloped edge border punch. I then layered a piece of chevron ribbon and a bannercut using the thinlit from the Stampin Up Mini Treat Bag Thinlits #137547. For the main panel, I added the sweet little bow in 4 colors cut from the bow in the Stampin Up Balloon Framelits #137362. The sentiment is from the now retired From the Garden Stamp set from Stampin Up. I love pretty paper and have spent so much money buying it, afraid to cut it and coveting it to find the perfect use for it. So the amount of DSP I own kept growing so I finally bit the bullet and decided the best time to use it is now! So lately I have been pulling from my stache and cutting into it to make some beautiful cards. 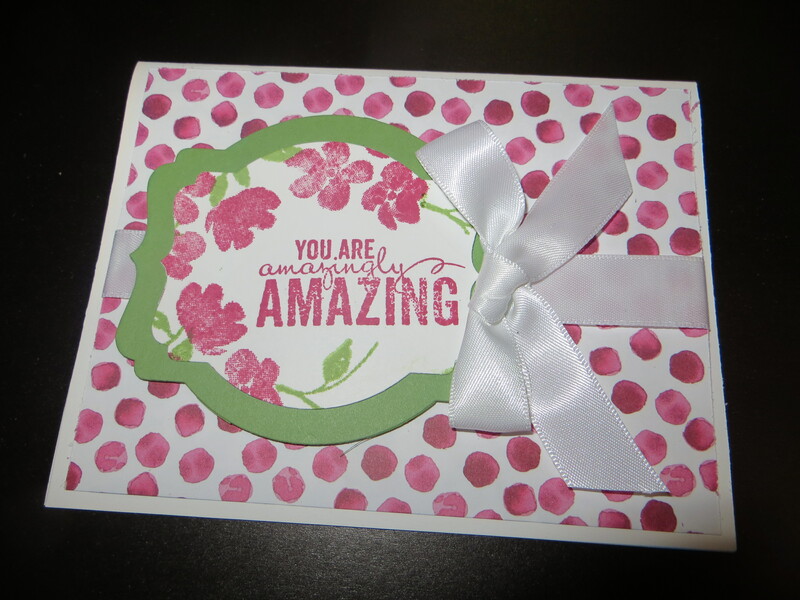 The best part is the pretty paper speaks for itself and can become the focal point of a pretty yet simple card. Today’s card is no exception, I used the now retired Stampin UP Painted Blooms DSP as the main focus. 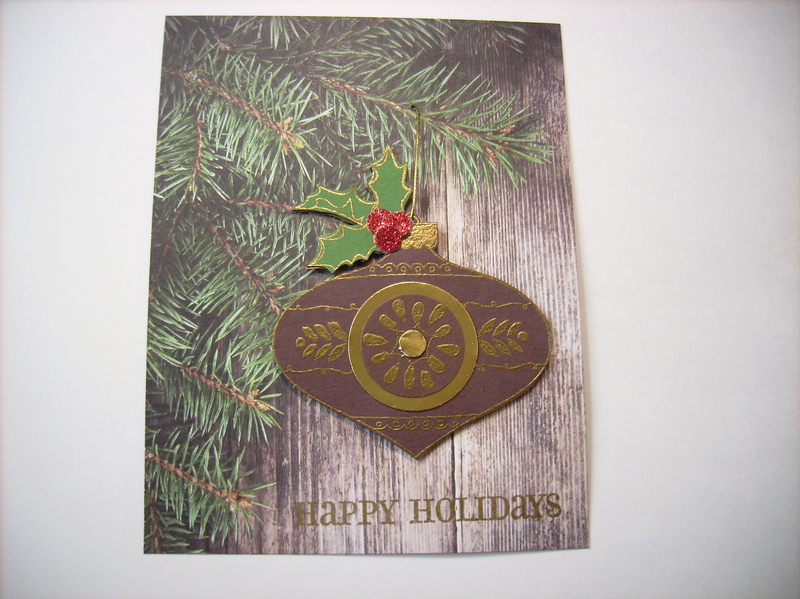 For the embellishment, I just hand cut a flower from the DSP and added it on to a matted circle and added a Stampin Up candy dot #130931 for the flower center. 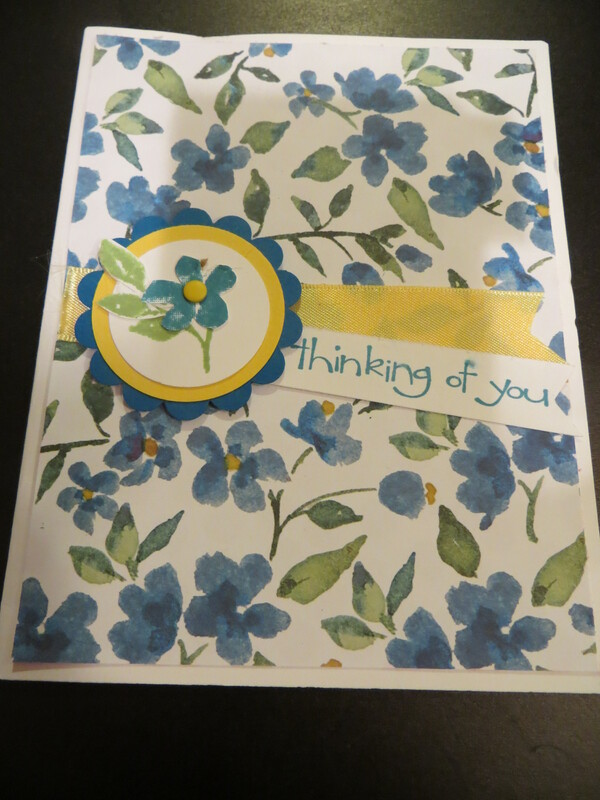 To finish the card I added a piece of daffodil satin ribbon and a hand cut banner with the sentiment. Today’s card is just plain pretty. I paired the Stampin Up Painted Blooms DSP (now retired) with the also retired Painted Petals stamp set to create a beautiful all occasions card. The sentiment is stamped on a Deco Label piece and matted with a larger Deco Label cut from the Deco Labels Collection Framelits #130102. 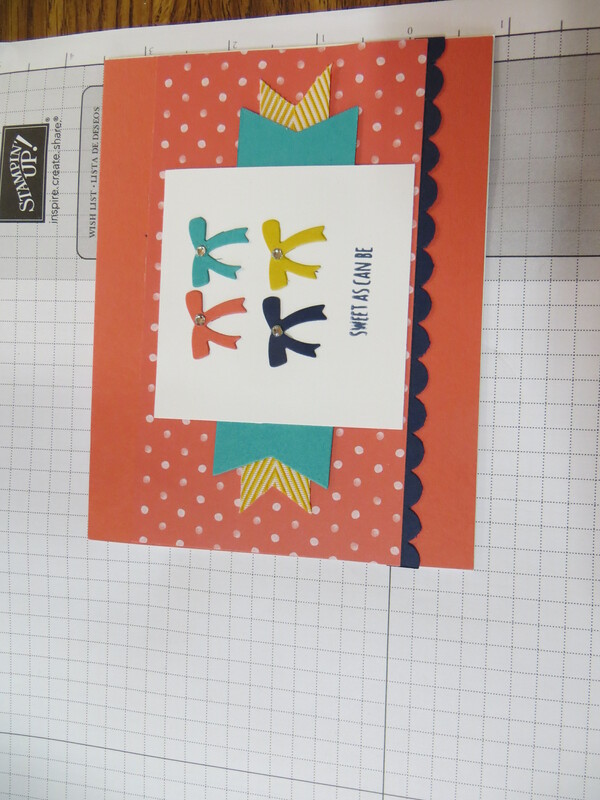 I finished the card with a white satin bow. Since it is exactly 6mos until Christmas, I decided to do a 2nd Christmas post today. This card is absolutely gorgeous in real life and was one of the cards that Cammie used in her masculine card workshop that featured the Adventure Bound DSP paper stack. The Adventure Bound DSP is no longer available but was perfect to pair with the Stampin Up Christmas Bauble embossed in gold. She even added it to the pine limb with a thin piece of gold cording. Absolutely spectacular Christmas card.